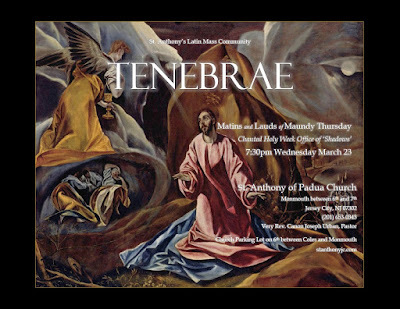 The Office of Tenebrae of Holy Thursday will be anticipated on Wednesday, March 23 at 7:30PM as part of this year’s schedule of Holy Week services at the historic downtown church of St. Anthony of Padua in Jersey City, New Jersey, located at Monmouth St. between 6th and 7th. The resident choir Cantantes in Cordibus will lead the Gregorian chant and other musical settings by Allegri. Its director, Maestro Simone Ferraresi, studied at the Conservatory of Music in Ferrara, Italy where he earned his degree with highest honors; at the Academy of Music and Performing Arts in Vienna he studied with world renowned pianist and musicologist Paul Badura-Skoda. Maestro Ferraresi specialized in interpretation of classical composers; at the Royal Academy of Music in London, where he was awarded the Diploma of the Royal Academy of Music – the highest examinable award given by the Royal Academy. He was also awarded three special prizes for best performance in the final recital. He is the founder and artistic director of the Ferrara International Piano Festival. St. Anthony’s Church is listed on the State and National Registers of Historic Sites. The church built in the Victorian Gothic Style is a pristine example of a church untouched by modern elements and remains a true example of Roman Catholic aesthetic rarely seen today. The church parking lot is located on 6th St. between Coles and Monmouth Street and is easily accessible from the Grove Street PATH, the Newport PATH and Light Rail stop. Through the generous support of Very Rev. Canon Joseph Urban, Pastor of St. Anthony’s, this is the first time Tenebrae will be available at St. Anthony’s. 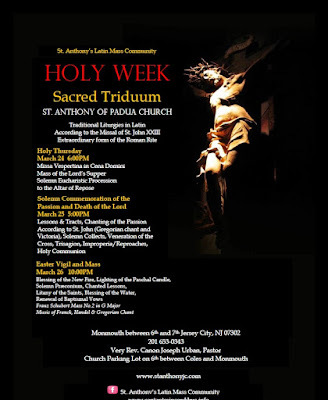 We invite everyone to attend this moving service during the most important and significant week of the Liturgical Year. 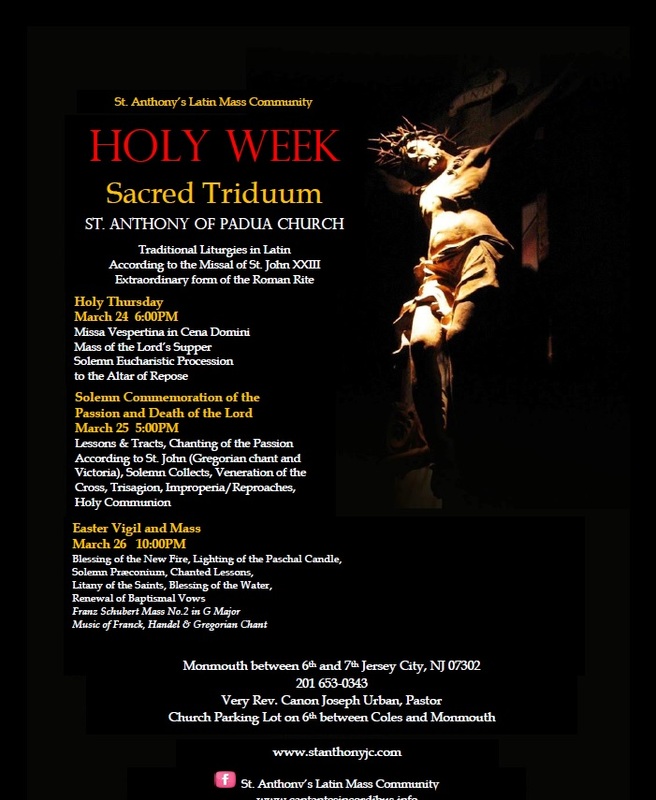 Please visit the parish website at stanthonyjc.com for more information about the other traditional services during Holy Week.